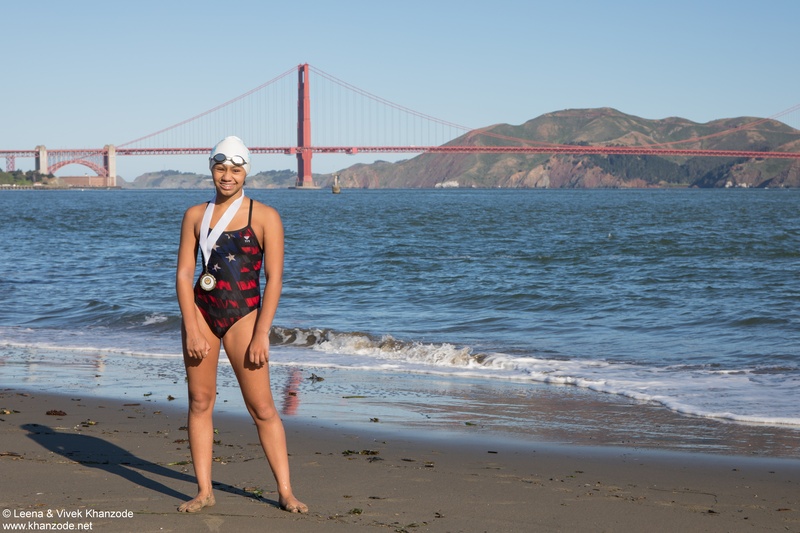 Have you ever imagined swimming across the San Francisco Bay to Alcatraz Island? Maybe you thought it would be too cold, or you were nervous about the infamous current? Two of our amazing students have each done so dozens of times! 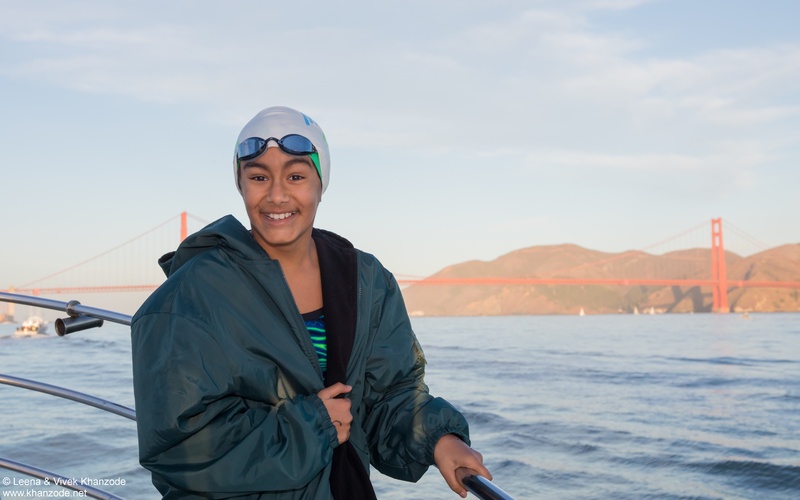 In fact, Mitali, an 11th grader at BISV, just completed her 50th trip, and Anaya, an 8th grader at BISV, completed her 40th trip across the bay from Aquatic Park Cove to Alcatraz Island this spring. The swimmers are seemingly unfazed by freezing temperatures and look forward to their open water swims, an activity that they take every opportunity to participate in. 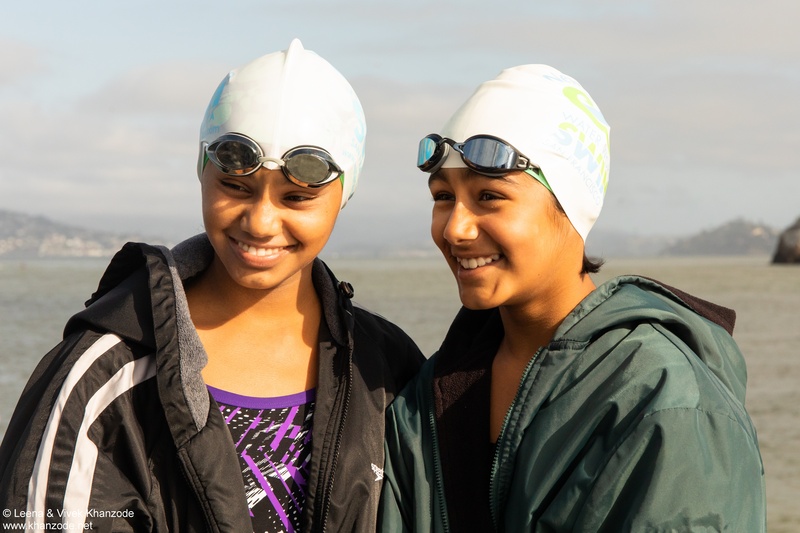 Both Mitali and Anaya hold world records, and have traveled to some very exciting places to pursue their shared passion, including making the trek to Antarctica. Mitali and Anaya traveled to New York at the beginning of the summer to swim from the Statue of Liberty to the shore in Jersey City, NJ. In July, both girls also took part in the 'Swim Around the Rock' race. This 3.6 mile swim is one of the most difficult open water swims in North America, especially when you factor in the strength needed to circle back from Alcatraz Island against the current. It sounds like Mitali and Anaya had an amazing summer doing what they love most. Please join us in congratulating our amazing Bobcats in this incredible pursuit! We can't wait to hear about their upcoming swims, and will certainly keep you updated on their future adventures. Read on here to learn a bit more about their impressive swimming history, and we welcome you to meet them in the videos below.